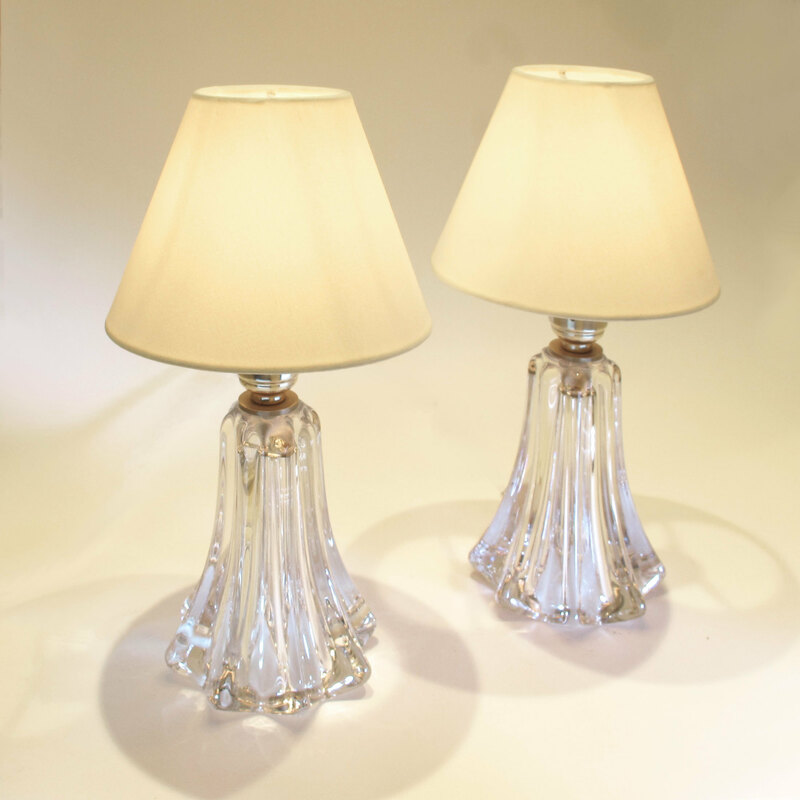 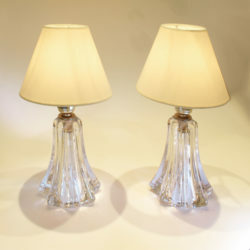 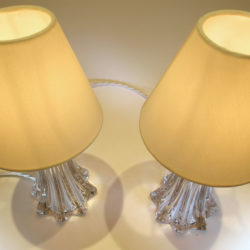 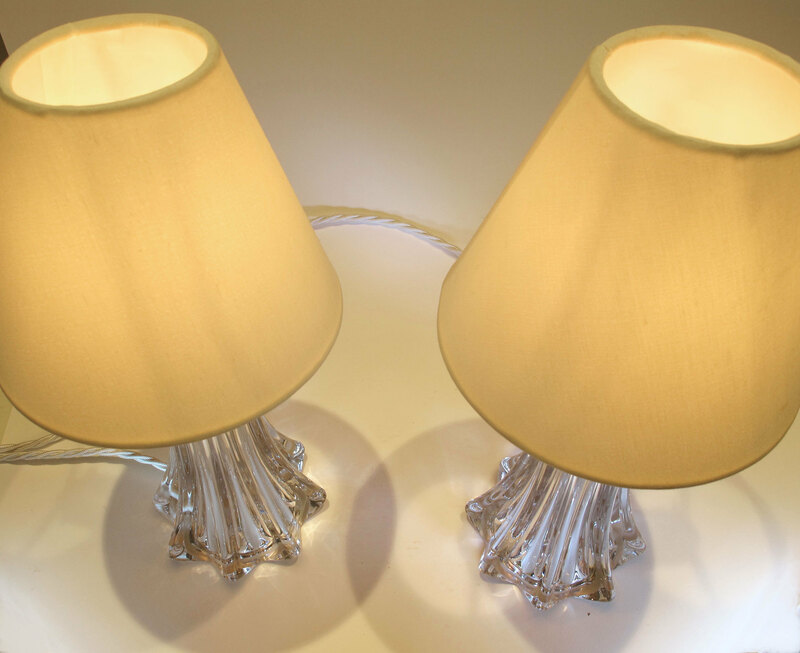 Pair of 1950s twisted crystal table lamps by the renowned Belgian crystal manufacturers. 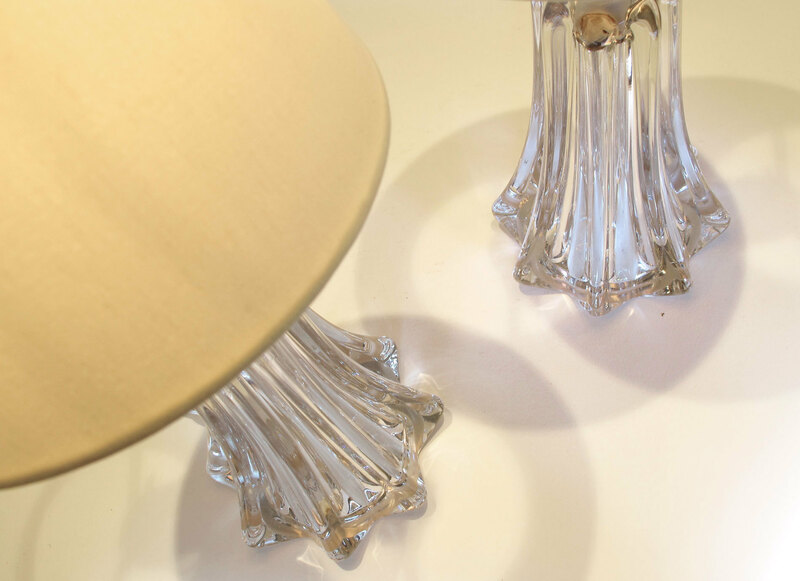 Val Saint-Lambert was founded in 1826 by Francois Kemlin and quickly established itself, along with the British firm, Osler, as the best glass manufacturers of the nineteenth century undertaking huge Royal commissions internationally. 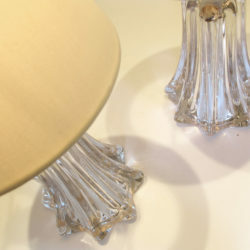 In the twentieth century they continued to innovate with their art nouveau and art deco designs.